The times they are a-changing. A new survey by Leger on behalf of Primus Telecommunications shows that parents are more concerned about cyberbullying (48 per cent) than they are about teen pregnancy (44 per cent), drug use (40 per cent) or alcohol use (38 per cent). To that end, Primus is joining forces with PREVNet, the country’s leading authority on bullying prevention, to develop an e-learning program designed for Canadian parents and adults to use with children and youth. The program is scheduled to launch later this year and will be the first interactive resource of its kind. Dr. Craig believes the e-learning program will give parents and adults the tools, resources, and strategies they need to spot the warning signs, initiate positive dialogue between family members and ultimately help children safely navigate the digital world. Parents are educating their kids about cyberbullying; but are they doing it right? The survey found that one in 10 parents admit to being aware their child, or one of their child’s friends, has received images or messages online intended to hurt someone. For parents who learn that their child is being cyberbullied, education remains the primary form of defense. Parents teach their children about the risks of sharing information such as pictures (68 percent) and tell their kids not to interact online with people they don't know (61 percent). However, according to PREVNet, youth and adults may not be speaking the same language when it pertains to online communications and cyberbullying prevention. Parents know their ‘underage’ children have Facebook accounts. Nearly one in five parents (16 percent) reported knowing their children between the ages of eight and 10 have a Facebook account, despite a 13-year age minimum in place for having an account. Parents believe they are most responsible for their child’s online safety. The majority of parents (81 percent) feel that they are most responsible for protecting their children from cyberbullying. 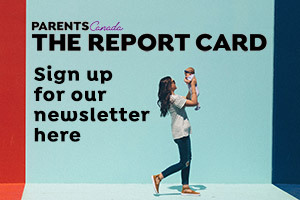 Interestingly, Ontario parents (77 per cent) are significantly less likely than parents in Quebec (84 percent) and Alberta (89 percent) to assign primary responsibility for their children’s safety to themselves. When parents were asked who else should be responsible for protecting their child they responded schools (54 percent), social media companies (41 percent), the government (31 percent) and friends (30 percent). How to deal with a cyber bully instigator.